Australian College of Nurse Practitioners will be holding their National Conference in Melbourne from the 2nd-5th September, 2019. The ACNP Conference is a fantastic opportunity to bring together Nurse Practitioners, Advanced Practice Nurses and Health Professionals. Join us in the Hunter Valley for the 14th Australasian Nursing & Allied Health Stroke Conference. At the Crowne Plaza Hunter Valley from the 8-9 August 2019. 29th Annual Scientific Meeting SSA 2019. Conference to be held from 10-13 September 2019 in the capital of Australia, Canberra. The European Stroke Organisation Conference is the premier European forum for stroke research and rapidly becoming the world’s foremost platform for the release of major trial data. Milan, Italy on 22-24 May 2019. 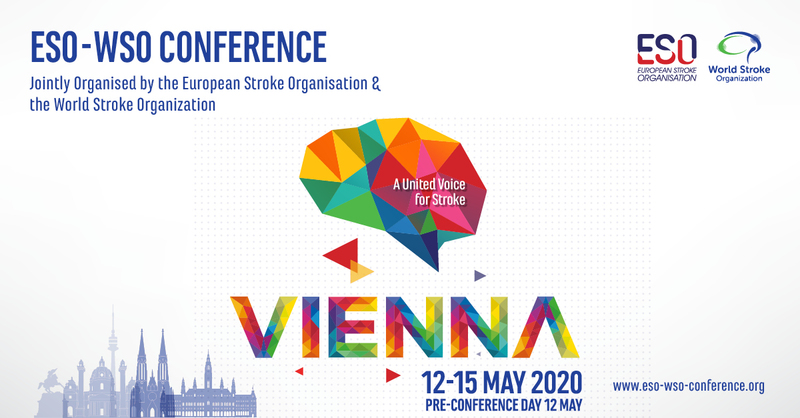 Join the European Stroke Organisation and the World Stroke Organization for their jointly organised stroke conference in Vienna, 12-15 May 2020.